Our FirstLook at Zackees cycling gloves was last Fall, and today we bring your our FirstUse. Built in to the back of Zackees are easy to operate, highly visible, directional signals. 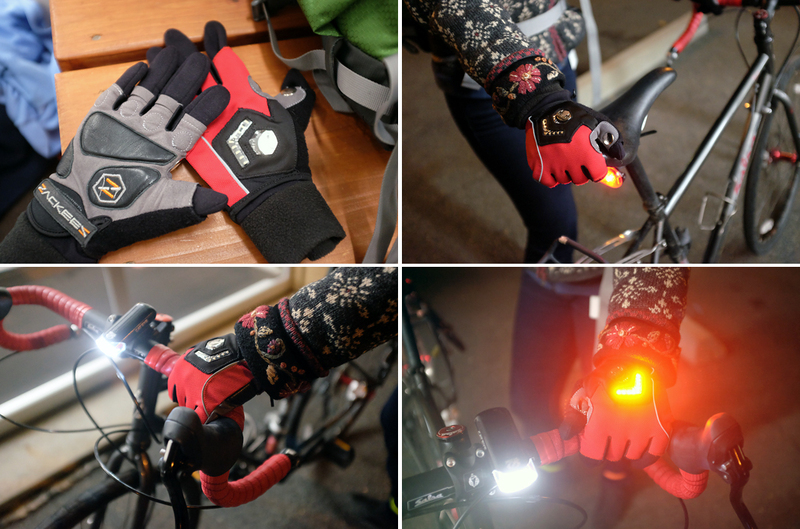 These clever gloves immediately generated a lot of thoughts and comments from our biking friends. 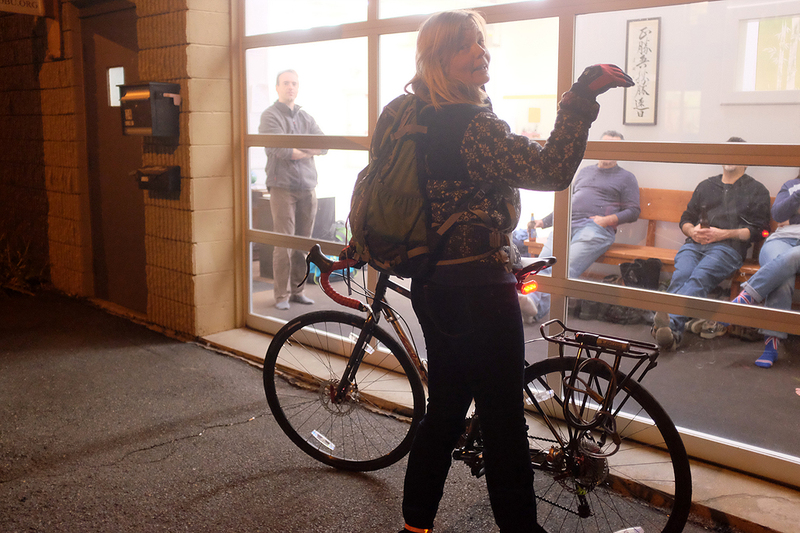 When we brought the Zackees into the dojo for folks to get a hands-on look, Angelika, one of our readers who bikes daily in city traffic, graciously offered to test the gloves for us. Slipping the Zackees over another pair of gloves allows them to be used late into the Fall and early Winter. A version which can slip over thicker winter gloves. 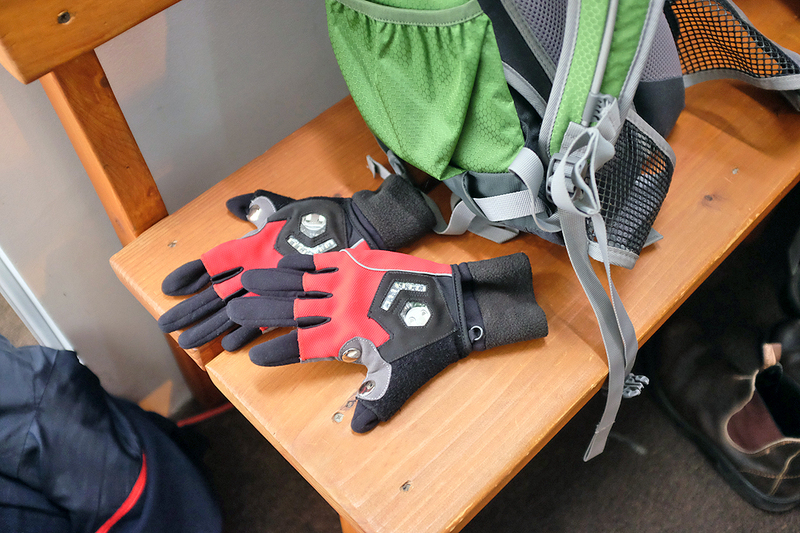 The Zackees signaling gloves is a cool idea and we are eager to see where they go from here. We will keep readers posted on any new developments. Also, we will check in with Angelika after the Winter for the InTheWild report. BTW, our thoughts on “what’s next” for Zackees resulted in some very interesting exchanges with both readers and the makers of the gloves. We have passed these and other suggestions onto Zackees. Perhaps some will make it onto one of their future versions.